lawyer-guide.co.uk is committed to ensuring that your privacy is protected. When you register for lawyer-guide.co.uk your address and telephone/fax information will be displayed, and well as your website's URL. Your email address is not displayed, this is held for the sole use by lawyer-guide.co.uk. lawyer-guide.co.uk cannot be held responsible for incorrect data on this website. Our advice on the website should never be considered/used as legal advice. We aim to be helpful, however we are not responsible for any incorrect information. To remove your company from our free listing, please use the contact form. We will do our best to remove you in the shortest possible time. lawyer-guide.co.uk recommends that all visitors to this site should consult a suitably qualified lawyer or solicitor on any specific legal problem or matter. lawyer-guide.co.uk acts as a third party directory to help you in finding a Solicitor, but in no way can we give you legal advice. Neither lawyer-guide.co.uk, it's employees or other representatives will be liable for loss or damage arising out of or in connection with the use of this site. This is a comprehensive limitation of liability that applies to all damages of any kind, including (without limitation) compensatory, direct, indirect or consequential damages, loss of data, income or profit, loss of or damage to property and claims of third parties. 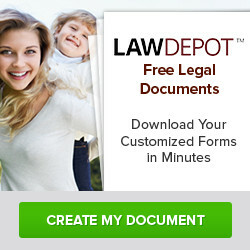 Any links that are found on this website to other websites, are not the reponsibility of lawyer-guide.co.uk. lawyer-guide.co.uk is not responsible for the content or availability of such other websites and to the extent permitted by law disclaims all liability in respect of such contents and in respect of any other websites or contents which the visitor may be able to access from such websites.